Dear Daughter #3 has accepted an accounting position at Amazon and will be relocating from California to Seattle, WA. It will be a fantastic career opportunity for her. One of her older sisters already lives in Seattle and she has various friends who also live there, so while it will be strange with her not being nearby, I'm glad that she already has a support group waiting to take her in so *she* won't feel so lonely. As she packs what she wants to bring up to Seattle, she has asked me if she can have some more quilts. Really?!?!? She, along with her sisters, does already have several quilts that I made specifically for her ... but she says that she loves my quilts and wants to have more to surround her. So, I went through my pile of quilts and pulled out the bed-sized ones for her to look through. She picked three. I told her to take Very Good Care of these quilts because I have sentimental emotions about them. Quilts that I give as gifts, I give freely and without attachments. The recipient can do what they wish with the quilts. These quilts, aren't *quite* a gift ... hear that Dear Daughter #3??? ... I do expect them to be returned at some point! Quilt #1 is Royal Mendhi Crystals and was made in 2010. You can read about it on this webpage. Not only do I just love, love, LOVE this color combination, but this was the first time that I had used a new template on my longarm that allows me to stitch a 5-rope cable as a continuous line. 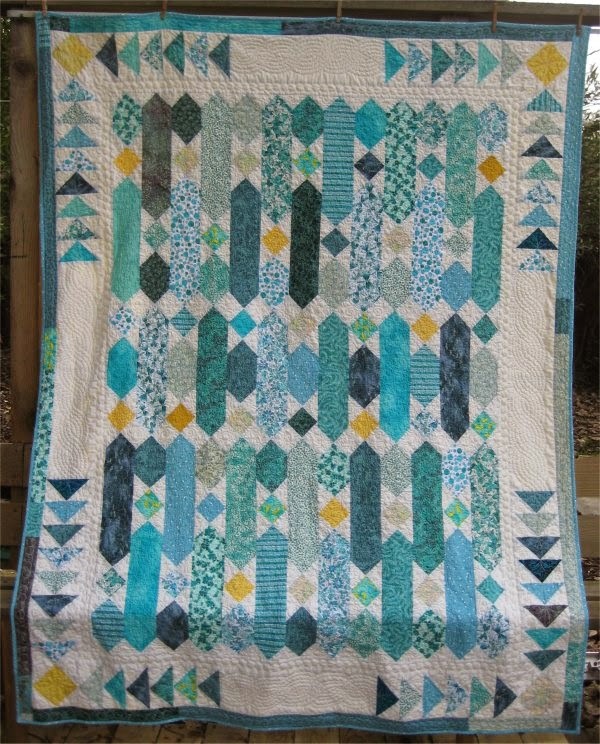 I LOVE this quilting design! 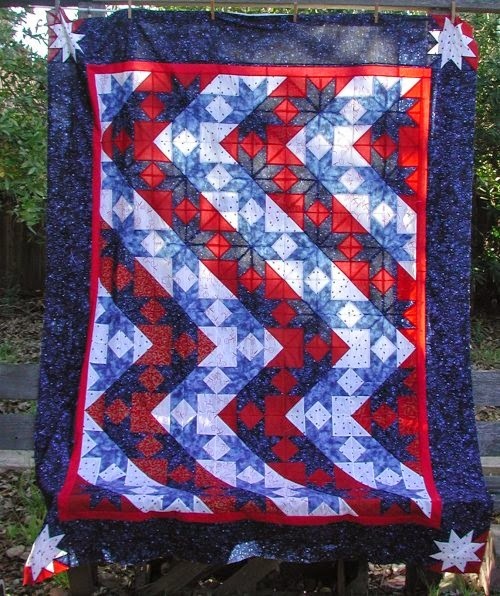 Quilt #2 is Stars and Stripes ZigZag. I made this one in 2001. You can read about it on this webpage. 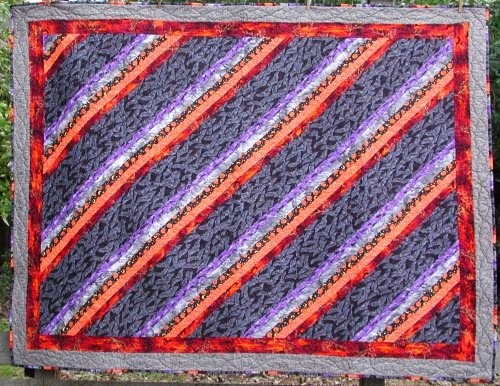 I was a pattern tester for this quilt and I just LOVE the way the half-square triangles are used to create the background zig-zags. Quilt #3 is Halloween. This quilt was (as I remember) the first quilt I made when my sewing room back to being operational after being torn apart for about two years. I was *sooooo* happy to be sewing again! I made this one in 2000 and you can read about it on this webpage.